Home > Lunch > 11 Energizing lunches to make you feel great! 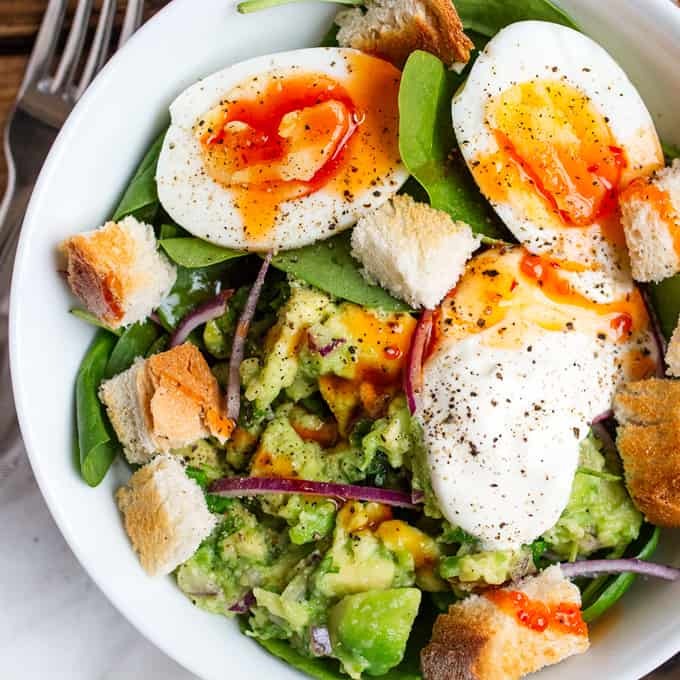 If you often fall into the trap of heavy, carby lunches that make you feel tired for the rest of the day, try some of these energizing lunch ideas! Working from home often means I don’t plan my lunches. I think to myself that i’ll just whip up a nice couscous salad or a tasty soup, but I hardly ever actually do it. Unless it’s a recipe-making-photo-taking day, or I have some leftovers (yeah right in our house?) I often fall into the trap of eating toast or a quick sandwich. Within an hour I’m lethargic and craving something sweet, and so begins the cycle of coffee, cereal bars etc. I worked really hard this spring to lose 14lbs, and I’m determined not to put it back on again. I think a big part of this is preparing ahead, and getting some healthier lunches made in advance so I can just grab it when I’m hungry and keep powering through till dinner time. 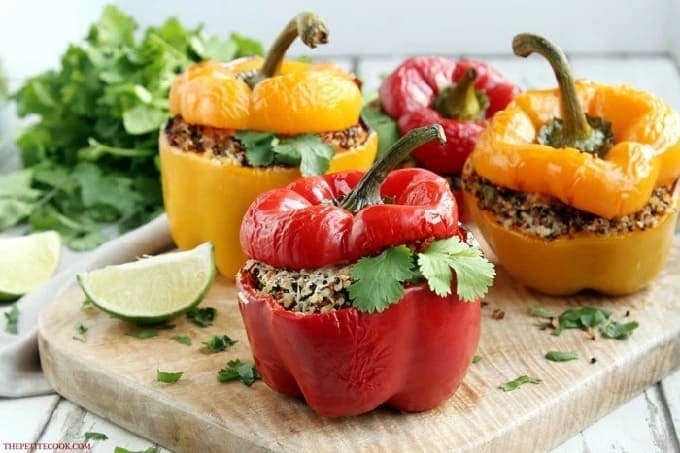 2: Quinoa Stuffed Bell Peppers. A veggie version, topped with feta cheese and a little basil pesto – sounds delicious! 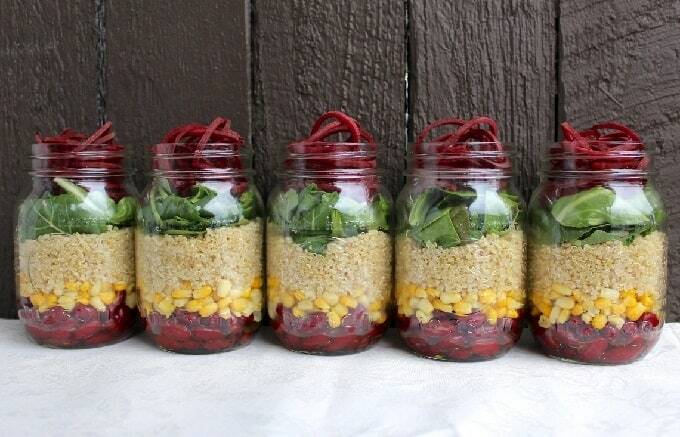 3: Mighty Mason Jar Salad. Beetroot, kidney beans, spinach – these jars pack a real nutritional punch! 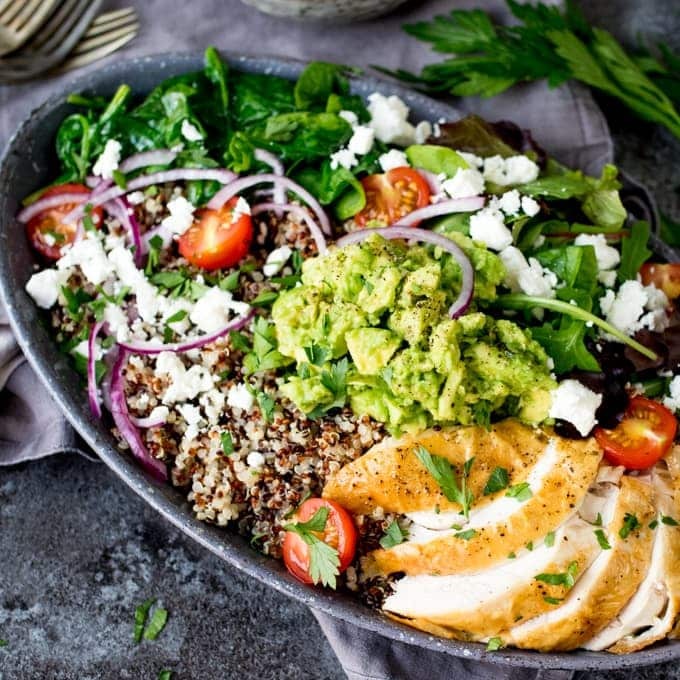 4: Quinoa and Chicken Salad Bowl. 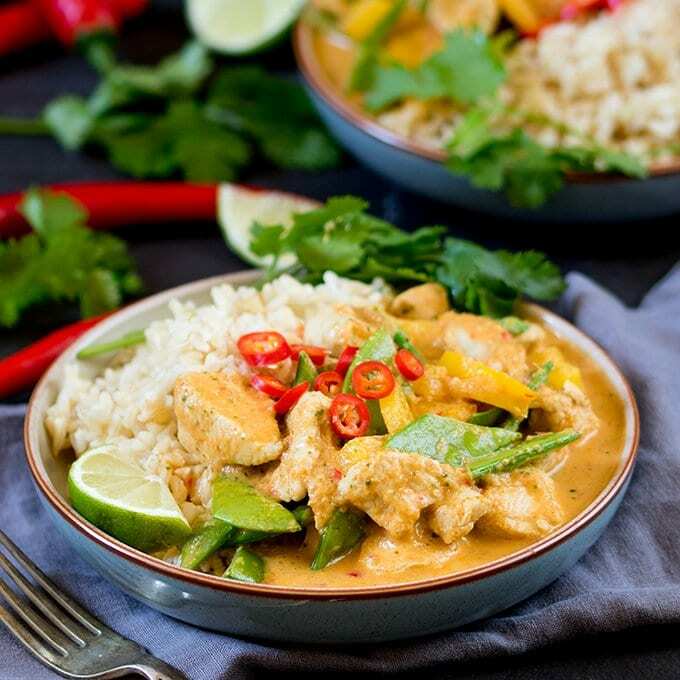 One of my recent posts – it has everything – creamy, crunchy, juicy, tangy. I love this salad bowl! 5: Miso muffins with kale, carrot and courgette. What?? 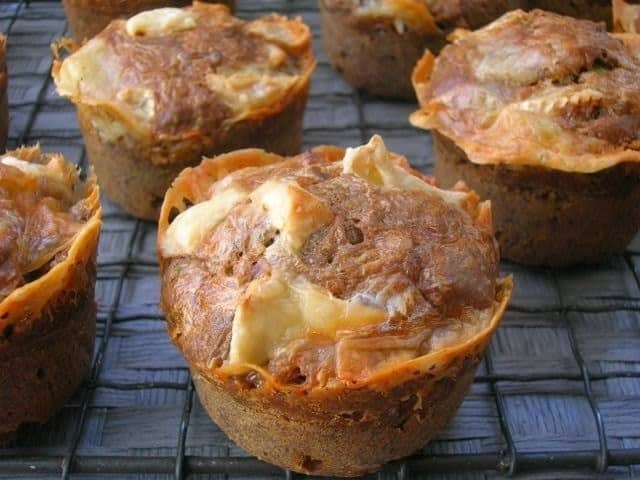 Miso muffins? why have I never heard of these before? I love the idea of the goats cheese topping too. 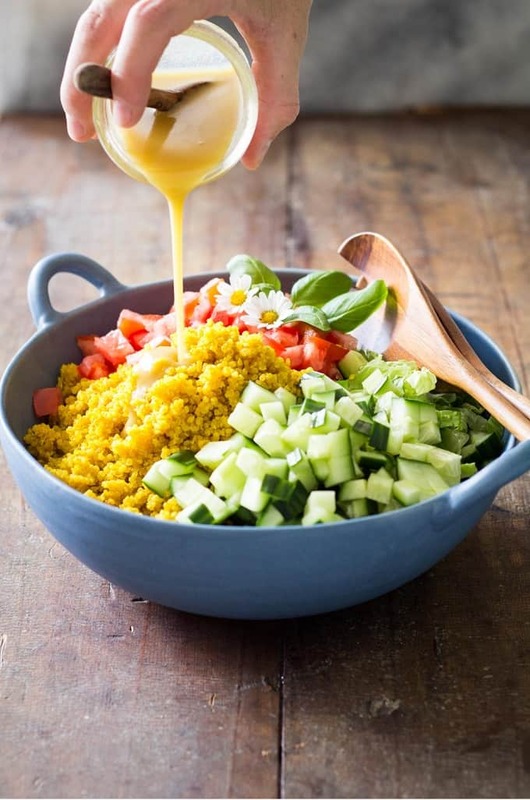 6: Turmeric Quinoa Salad. I’ve got a new love for turmeric after making turmeric lattes recently. 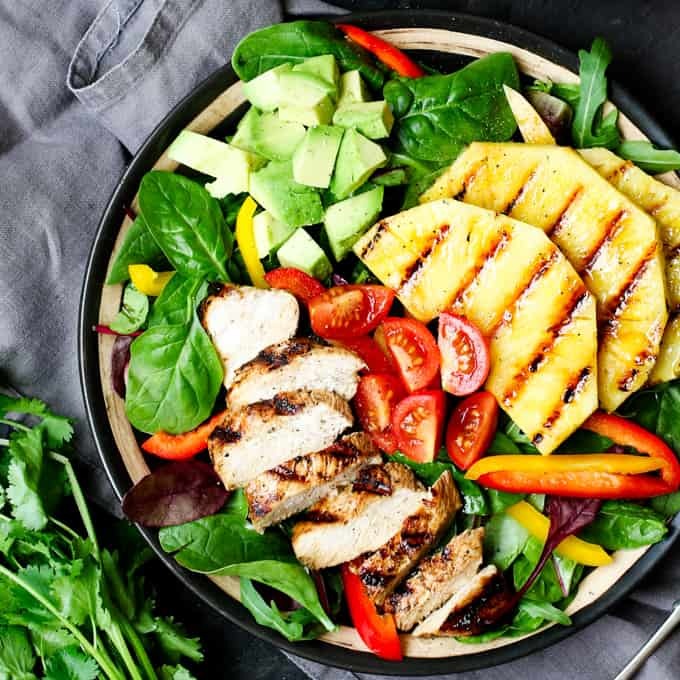 The honey mustard dressing is such a great addition! 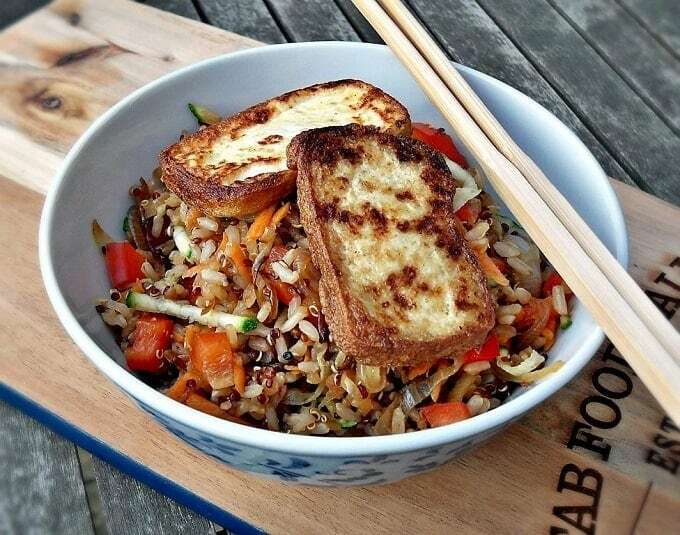 8: Warm rice and quinoa salad with pan fried tofu. I always thought I didn’t like tofu, but my friend got me to taste her fried tofu a couple of weeks ago on a girls dinner, and it was so good. I have to try it making it now! 9: Vegan Sunflower Wrap. 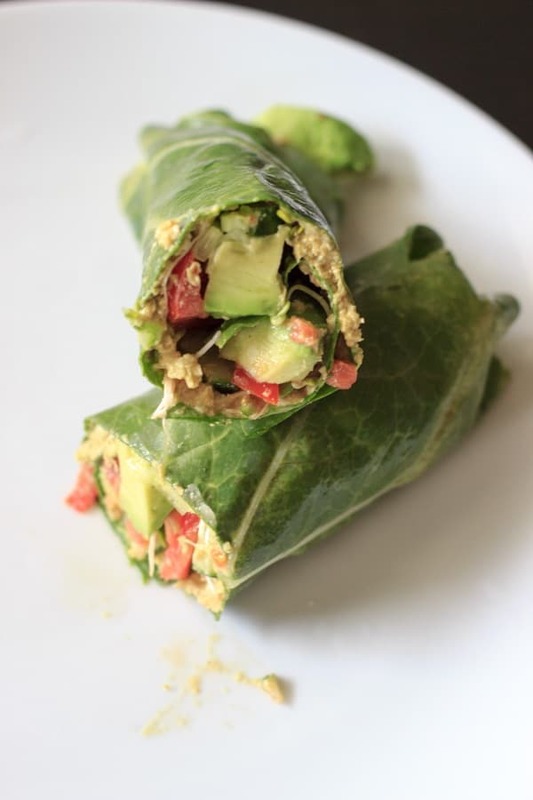 This one uses collard greens as the wrap, which I think is such a great idea. 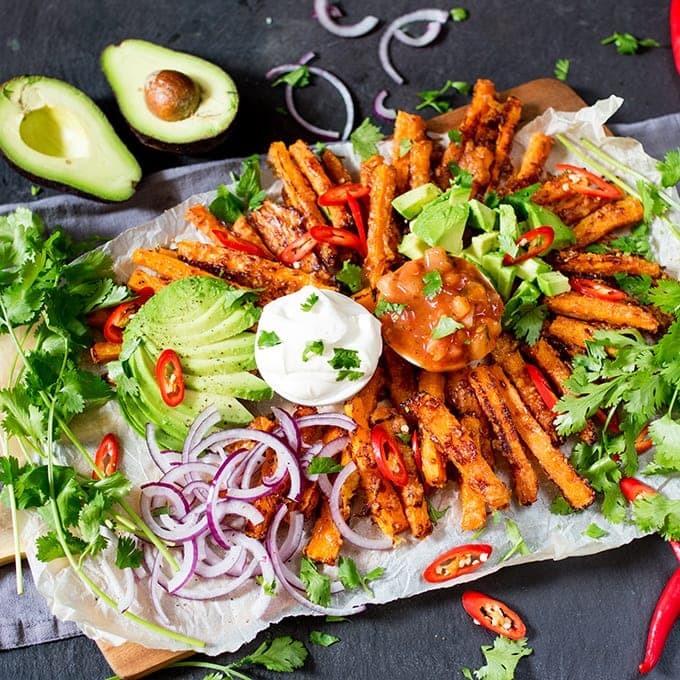 It’s nutritious, crunchy and won’t fall apart like your average lettuce wrap. 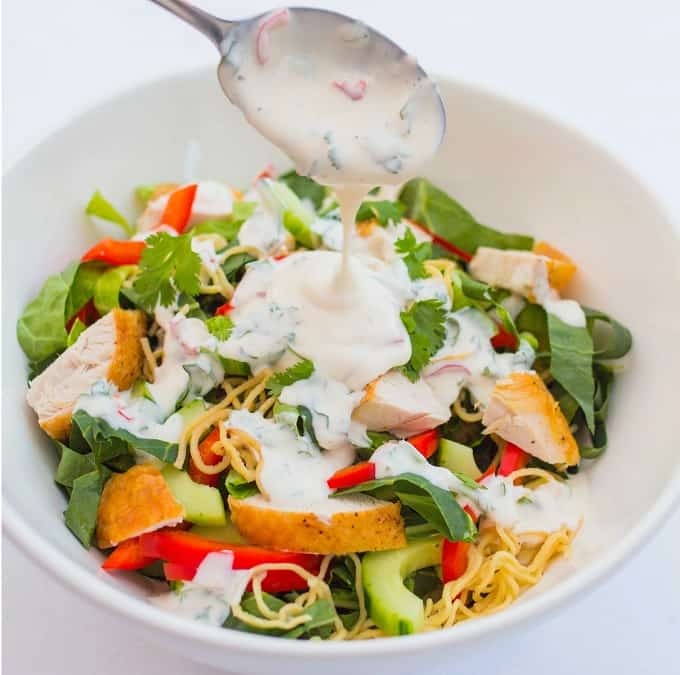 10: Chicken noodle salad with cream chilli lime dressing. It’s an oldie, but a goody. I think this was inspired by an M&S salad I’d had at the time, and I’ve been making the dressing ever since to go on everything! 11: Healthy chicken salad with grapes, apples and tarragon-yogurt dressing. 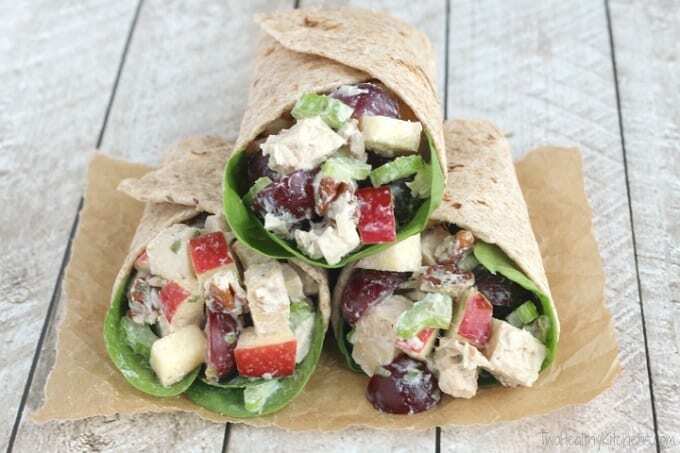 I love adding apple to sandwiches and wraps (like this one), but have never thought of adding grapes. The tarragon yogurt sounds yummy too! Oh there are some lovely recipes you’ve got here. I always forget about cooking lettuce, but it’s so good when you do. 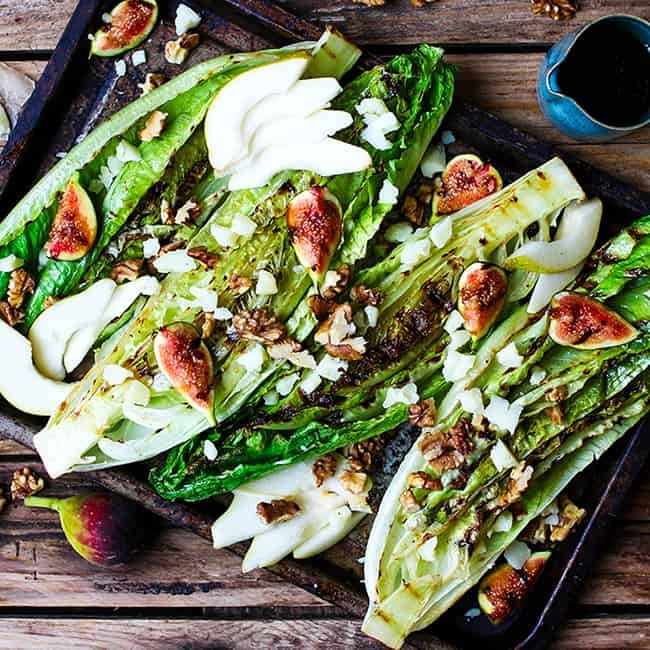 Combined with figs and manchego, it sounds heavenly. Yeah, griddled lettuce really surprised me the first time I tried it, but it’s so good, and really helps the flavour of the dressing to come through. 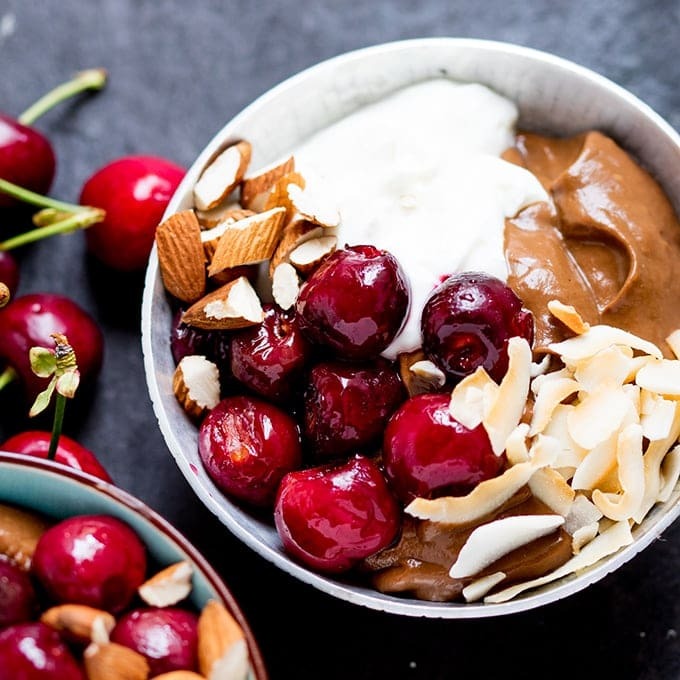 I’m licking the screen just by looking at all these delicious recipes! I’m gonna put them all on my to-do list and enjoy them all summer long :)!